One of the reasons your Mac is slowing down could be lack of hard drive space. No, we are not trying to sell you any new super-expensive accessories such as RAM or Mac-suitable SSD-drives. We simply want to share with you some easy tips on how to take care of your Mac and clean up the disk. Follow the steps below and your PC will run like a dream. Over time, our iTunes library collection steadily increases in size. Interesting new movies, music, new releases from our favorite bands – start to expand our iTunes library like a snowball. Fortunately, there is a convenient way out. 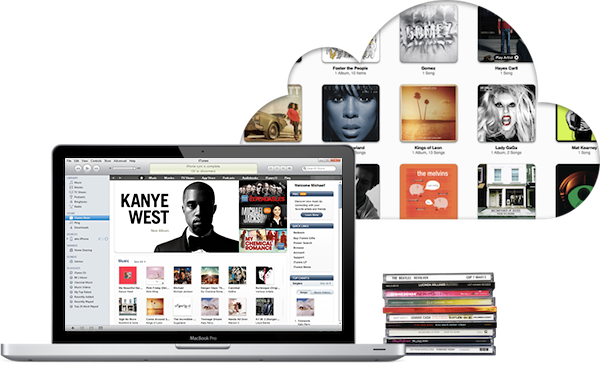 Subscribing to iTunes Match allows you to free up a sufficiently large storage space. At the same time you still have direct access to your media library from your Mac or iOS device connected to the same account. I would recommend sorting out these files and removing the unwanted ones. Do you know that every time you open a file sent you by email, the system saves it in the Mail Downloads folder? If you have many email attachments, they will take up a huge disk space. Therefore, you should empty this folder regularly. Finding and removing these files will take only a few minutes. 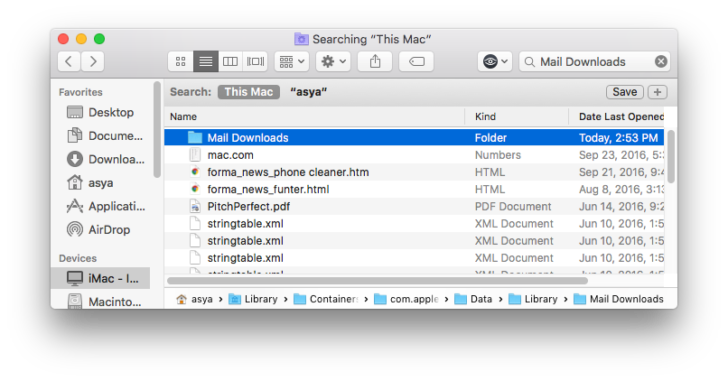 Open the Finder and in a Search Field type Mail Downloads. Clean out all the junk from the folder. A word of caution though: make doubly sure you don’t need these files since it would be impossible to retrieve them later. Most PC users know about browser caches. But what about the system and application cache files? MacOS keeps a large number of cache files related to several applications besides Safari or Chrome. These are stored in the folder ~ / Library / Caches and can really clog the disk memory. Go to this folder and clear cache. 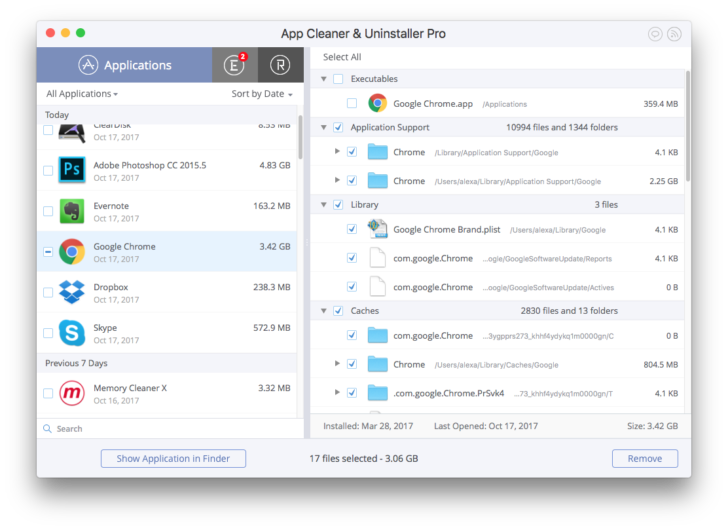 You can also use some free software such as App Cleaner, which is the most convenient tool to clean up a Mac. 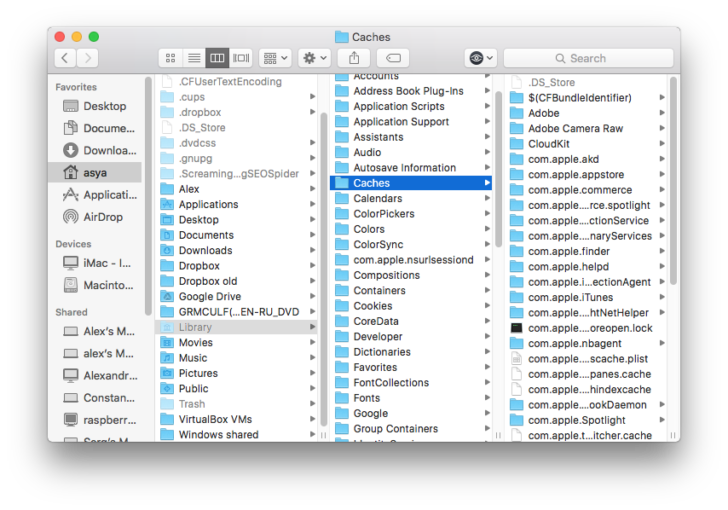 This application finds all programs’ service files (caches, logs, preferences, etc.) and allows you to remove them all in one click. If you often install new applications to try them out and then decide to remove them, don’t forget that the system still preserves the service files of already trashed apps. App Cleaner finds and removes such files as well. 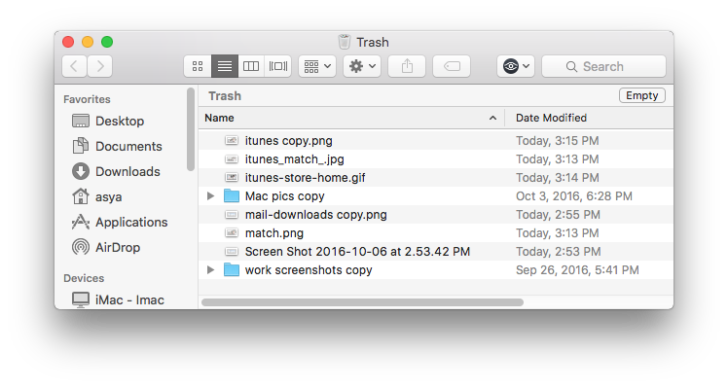 It may sound trivial, but most users drag files to the Trash folder and assume they’re done. Emptying the Trash can free up dozens of GB on your Mac. Remember, when you drag and drop files into the Trash basket, they can be returned. That’s why trash files are not removed irretrievably and still take up memory. Therefore click the Empty button to delete all these files once and for all. And one final tip. Update the operating system regularly. If you do not do this over a long period, the disk space starts to be clogged with all sorts of caches and swap files (temporary files of virtual memory that can take up to 10GB). It is highly recommended that you reboot your Macbook periodically if you are running out of free space. After the reboot, all swap files will be cleared as well.